Podgorica, (MINA) – Europe and the Balkans need young, energetic and progressive forces, ready to respond to the challenges of the new era, it was heard in the Conference of Young Parliamentarians, organized by the Parliament of Montenegro and the Foreign Affairs and Diaspora committee. The representatives of the national parliaments of 20 European and the Western Balkans’ states are participating in the Conference. Chair of the Foreign Affairs and Diaspora committee Andrija Nikolic said that the young parliamentarians discuss the enlargement prospects of the Western Balkans following the EU parliament elections this year, the role of national parliaments in the Berlin process and education as development driver. “We are here today to, with you, colleagues parliamentarians from the EU countries, you who create and influence the policies of your countries, to clearly state that we, the citizens of Montenegro and the Western Balkans’ countries, belong to Europe”, said Nikolic. 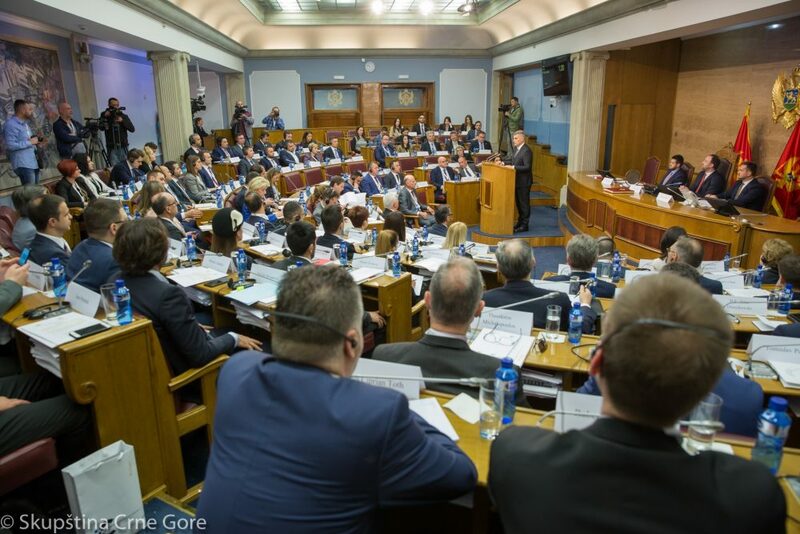 Parliament Speaker Ivan Brajovic said that Montenegro is the most agile promoter of European values in the region and the country that is fully aligned with the positions of joint foreign and security EU policies. According to him, the intent is to make a step forward towards better understanding and strengthening of confidence by forming the network of young parliamentarians. Foreign Minister Srdjan Darmanovic said that the last month was very important regarding EU enlargement policy. “New Enlargement Strategy has been adopted, which marked 2025 and the regatta principle for the following period, and all those requests must be met”, said Darmanovic. He believes that after European elections, the enlargement policy can be as successful as it has been by now. Minister of Foreign Affairs of Bosnia and Herzegovina Igor Crnadak stated that biggest interest of new generations is to cooperate and build better society. “The EU is not full nor complete until the Western Balkans join it”, said Crndak.